This article is all about the public school calendar in Compass. There’s some really useful information in here about how to show the calendar in your phone’s calendar app, or in your Outlook. 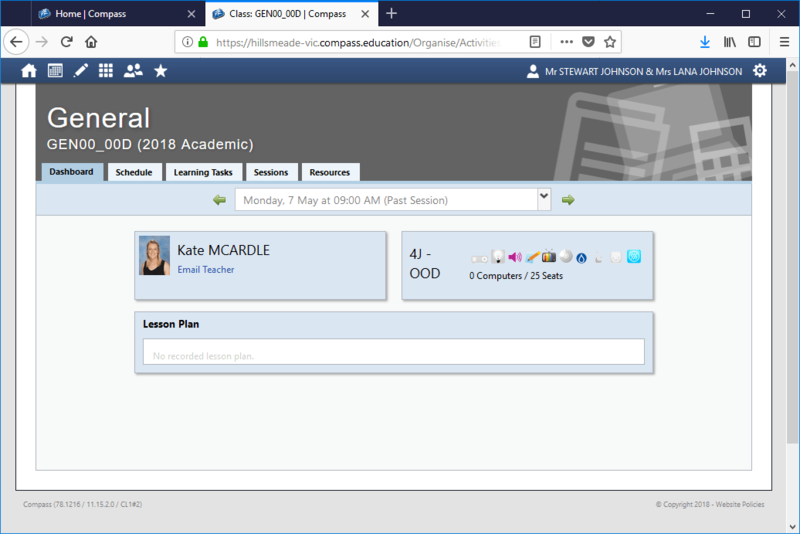 When you log in to Compass on the website, the second icon at the top takes you to the school calendar. When you click it, it opens the calendar in a new tab/window. On the left-hand side are the calendar layers — there will be one for each child, and also some parent-visible calendars in dark green. If you click on these labels on the left it will toggle show/hide for that layer in the calendar. 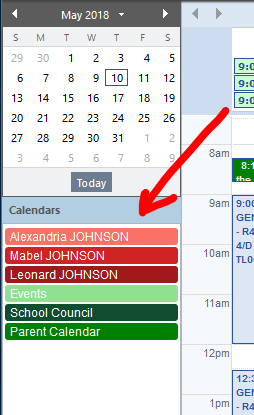 If you hover your mouse over an item in the Parent Calendar you can see more information about it. If you click on one of the class sessions for your child it will take you to the class page for that subject. 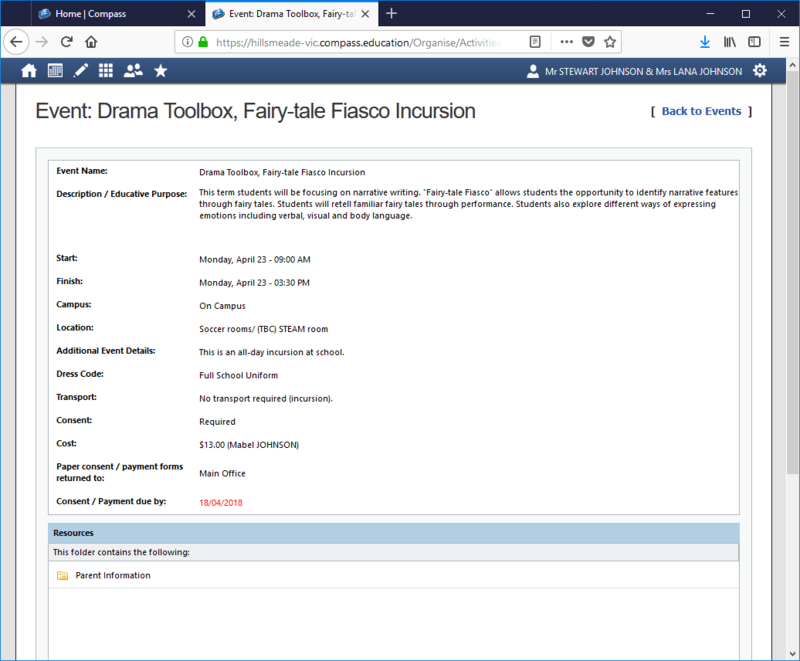 If you click on one of the events in your child’s calendar (the light green entries) it will take you to the information page about that event, where you can also provide payment/consent if it is required. 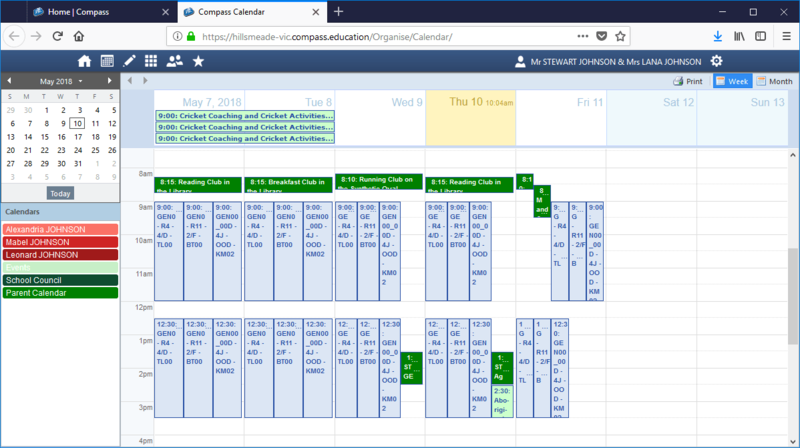 The Compass app doesn’t have a dedicated calendar view, but you can open Compass in a web browser — see yesterday’s Compass Tip for details. However, if you tap your child’s photo in the app it will show their activities for today (including any events) and you can tap the calendar button to move to a different day. You can show a read-only version of the Parent Calendar and the Events Calendar in your phone’s calendar app, or your Google Calendar or Outlook calendar. They will be updated automatically, so as we add new events your phone/Outlook will be automatically updated. You will need the link to each of the calendars in order to subscribe to them. The two links are in the table below — you can right-click and choose Copy Link on your computer. In the Calendar tab in Outlook, right-click on My Calendars, and choose Add Calendar and then From Internet. 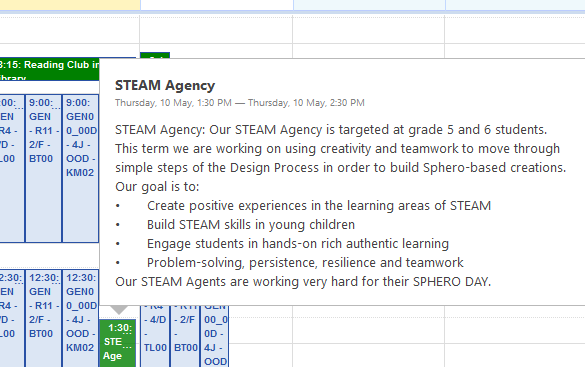 You will now see the events from that calendar in your Outlook.